Quick question to anyone who’s brewed a coffee stout. How was your carbonation or head retention? Mines been bottled for two weeks and has barely any carbonation in it or it varies bottle to bottle. One has a little bit and one has none. The slight carbonation is there it just has zero head. I’m wondering if it needs to condition warmer and longer or the coffee oils are preventing head. Any ideas? Firstt must ask if you added enough priming sugar. 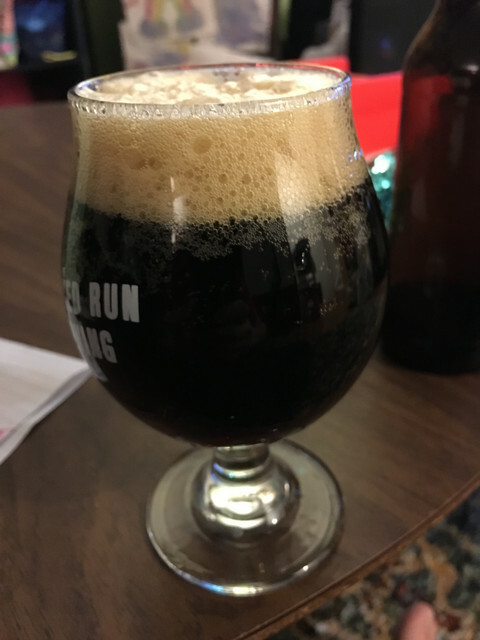 My coffee stout don't have any problems with carbonation or head retention even with the oils in coffee. Two weeks is not always enough to fully carb a beer. Yes move it to a warmer place. If you added enough priming sugar it will carb up just give it another week or so. I put coffee beans in the mash once.....kegged....zero head even when fully carbed. Walk us through your bottling process. Are you sure the priming sugar was well mixed? Chances are it needs warmer temps and more time. Sounds like you had a plan. Warm them up and flip the bottles around to get the sugar/yeast in suspension. Also no head retention on the one I've brewed. This was a few ounces last 5 minutes of boil. Big bubbles in the head. Another two weeks and those bubbles may become tighter and and more dense. Two weeks and a day. Chill one beer for at least a full day before opening. Two weeks isn't a long time if you fill another fermentor or two in the mean time. Oh I have 2 gals of Dry Irish Stout fermenting for now. Which brings me to another question. The fermentation is very calm almost slow. I used SafAle S04 about half a pack for two gallons. Is this pretty normal of a dry Irish stout recipe? Without knowing WHEN you pitched Dry Irish Stout isn’t too big of a beer and even a half packet of yeast is a healthy amount so it shouldn’t take too long to ferment to the point of slowed activity. However, keep that beer on the cake. Lots of cleaning up to do. S-04 tends to start fast and then almost come to a stop. The last few gravity points for your stout may take a while. Great post. I have a similar issue with my coffee stout (no carb but tastes right) so I’ll let it sit a bit longer. Btw I added strong cold brewed coffee to the wort immediately after the boil. Oil in the beans. Steep the coffee grounds. Make your coffee and steep the grounds.